Established in the year 2010, we, “V. 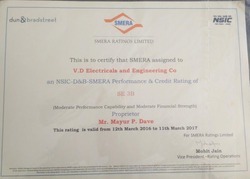 D. Electricals & Engineering Co.”, are a reliable supplier, distributor, wholesaler and exporter of Soft Starters for Heavy Duty Industry. All the offered products are procured from certified vendors of the market, who make use of advanced technologies and quality raw material in manufacturing. Further, the soft starters offered by us are widely used in several industries like chemical, refinery and pharmaceutical. All our products are applauded in the market for their features such as low maintenance cost and high durability. A capacious warehousing unit is established by us at our base for safe storage of all the sourced products. The warehouse of our firm is divided into varied sections that help us in easy identification of products at the time of retrieval. Due to the well connectivity of our warehousing unit with varied transportation networks, we have been able to deliver the ordered consignments at the clients' end within the promised time. Moreover, we have recruited a team of diligent professionals, which possess sound industry experience. 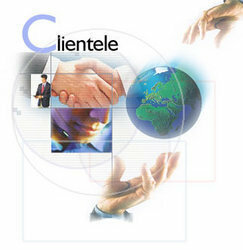 The professionals of our firm are totally responsible for the accomplishment of proper business activities. Owing to the above mentioned factors, we have been able to spread our wings across the markets of North Europe, Middle East, South/West Europe, South East Asia, South Africa, India, UAE, Sri Lanka, Bangladesh, North America, West Africa, East/Middle Africa, Australia/NZ, North Africa, East Europe, Central America & South America. Under the visionary guidance of our mentor, 'Mr. Mayur Dave', we have occupied a formidable position for ourselves in this competitive market. His decision making qualities and vibrant leadership skills have enabled us to muster numerous clients across the globe. We are looking for enquiries only from Uganda, South Africa and Gulf Countries. 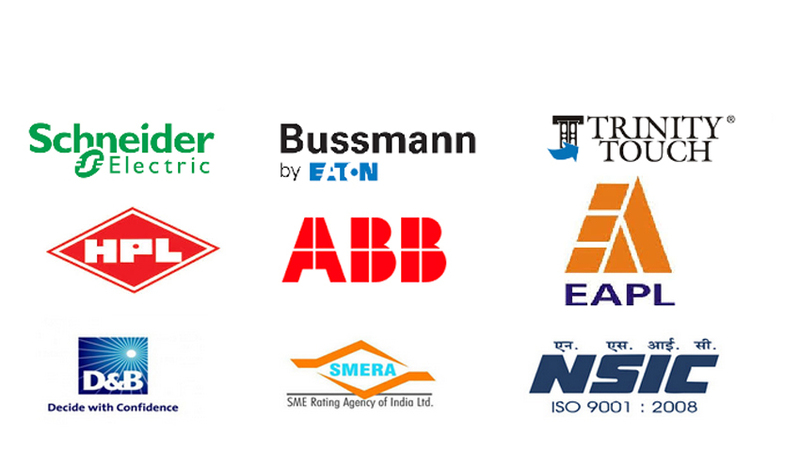 We are a prominent trader, supplier, distributor, wholesaler and exporter of a quality assured gamut of Soft Starters for Heavy Duty Industry. The products offered by us are sourced from trustworthy vendors of the market, who make use of qualitative raw material in manufacturing. AC drives offered by us are appreciated in this competitive market for their attributes such as low power consumption and high performance. These AC drives are widely used for controlling rotational speed of an alternating current (AC) electric motor. 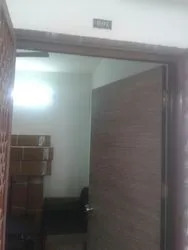 For safe and categorized storage of all the procured products, we have constituted a capacious warehousing unit at our base. Our warehouse is segmented into various sub-sections so that consignments of varied categories can be stored separately. 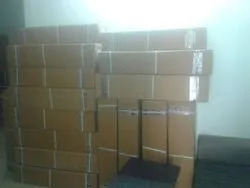 Due to the excellent connectivity of our warehousing unit with various transportation networks, we have been able to deliver the products at the clients' end within the promised time. 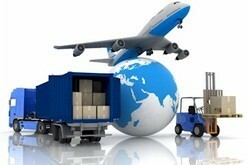 A team of packaging experts is recruited by us for safe packing of the offered products. These personnel make use of strong material in packaging, which ensures safety of the offered range during transportation. We have recruited a team of diligent professionals, which enables us in carrying out all the activities of our business processes in a streamlined manner. Our professionals are masters of their respective domains, which implement their industry knowledge and expertise in completing the assigned tasks on time and with utmost perfection. All our team members work in close coordination with each other for successfully attaining the organizational targets in deadline. Further, we periodically arrange skill enhancement sessions and workshops to abreast our workforce with advancements in the field of technology and changing market dynamics. 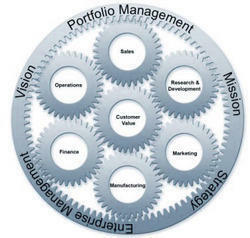 Over the years, we have established ourselves as a trustworthy firm of the market. For offering the qualitative products, we have associated ourselves with varied reputed names of the market. Our team of sourcing agents utilize their in-depth knowledge in finding out the best manufacturers of the market and procure range from them. Moreover, for finding out the best manufacturers of the market, our professionals do regular surveys and researches. After analyzing the results of surveys, these professionals suggest us to join our hands for providing qualitative products to the customers. We have earned a remarkable position for ourselves due to the transparency in business dealings and ethical policies followed by us. Owing to the defect-less gamut of products and client centric approaches, we have gained applause from our esteemed clients.